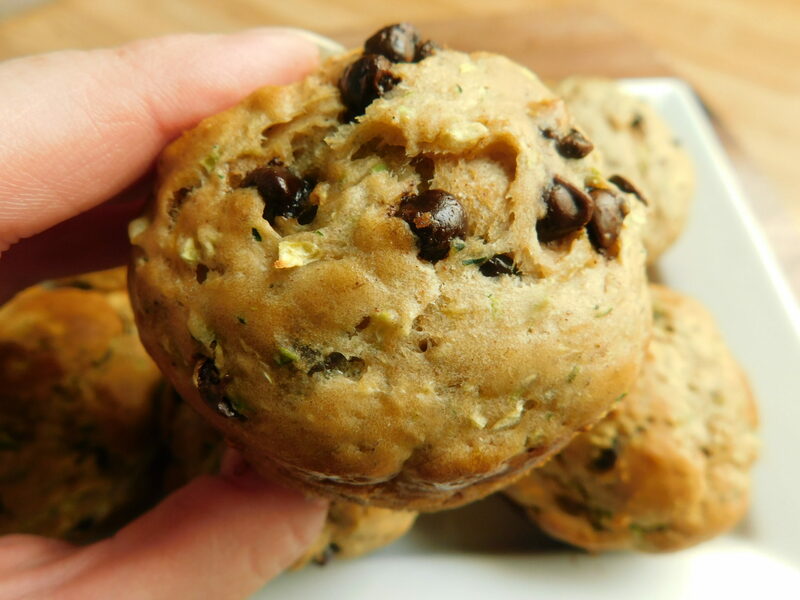 Chocolate chip zucchini muffins - Drizzle Me Skinny!Drizzle Me Skinny! 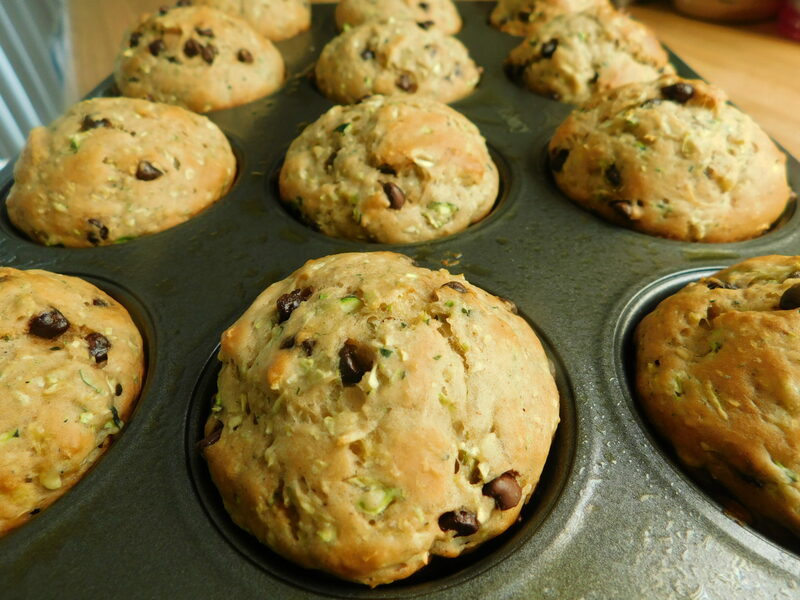 I’ve been on a bit of a zucchini kick lately (more recipes to come) I have actually found a new liking for it because I always thought I wasn’t a fan..who knew 😉 I love baking, especially muffins, they are great for meal prep since you can freeze them individually. 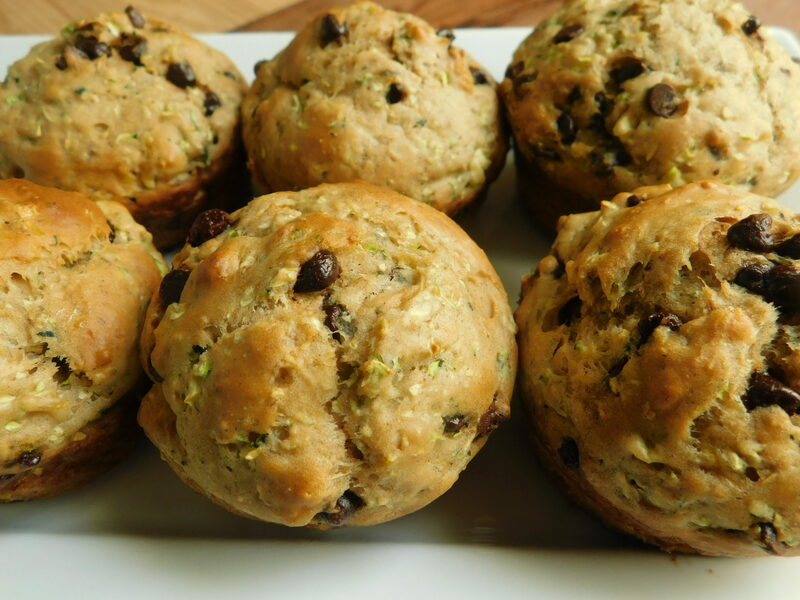 These chocolate chip zucchini muffins are delicious, and just enough chocolate to sweeten them up. I know I will get asked so I’ll answer it here, no you can’t really taste the banana, or at least I can’t, I find the chocolate and zucchini overpower it. 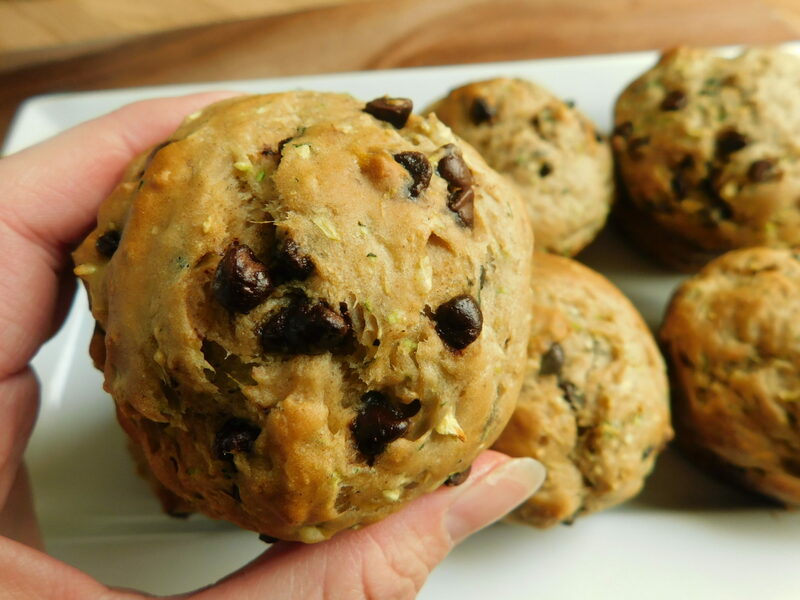 These baked up treats are just 4 smart points each on WW freestyle and if you want to leave the chocolate chips out (no fun!) they are 3 smart points. 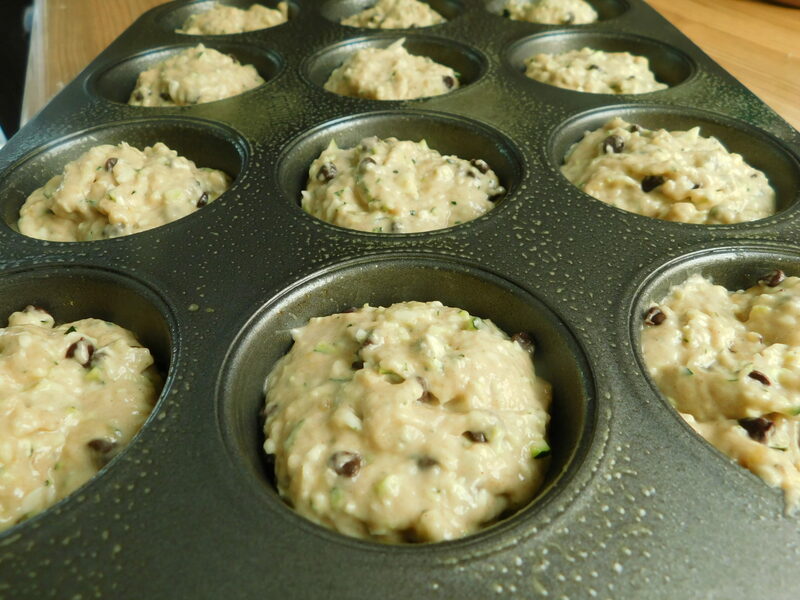 Preheat oven to 375F and spray a 12 hole regular size muffin tin. In a bowl whisk your eggs and add in brown sugar. Stir in mashed banana, applesauce, honey and vanilla. Mix in your flour, cinnamon, baking soda and powder. 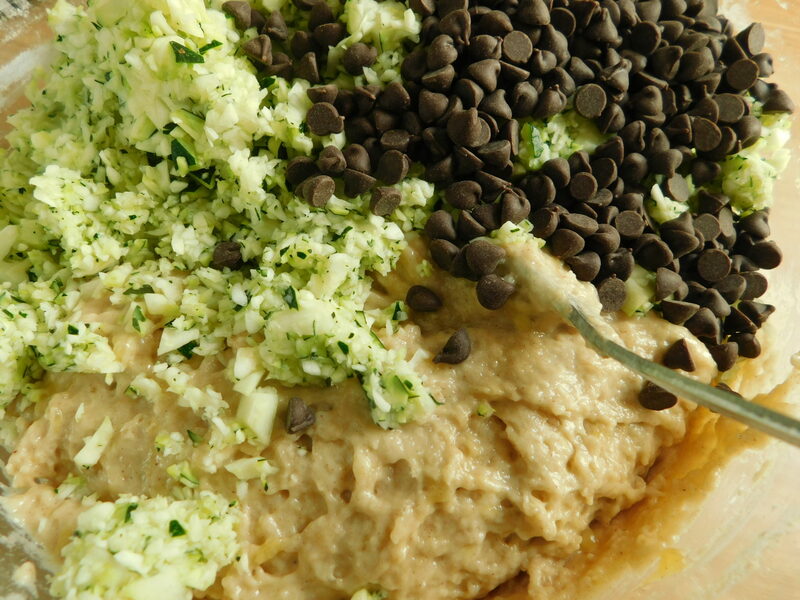 Fold in your diced zucchini and chocolate chips. Pour batter into your 12 cups and bake for 22 minutes or until muffins are a golden brown. Makes 12 muffins, you can choose to leave the chocolate chips out, I did the math and they are 3 freestyle points each without them. Muffins will freeze well and best stored in the fridge after a day or two. These look great, Kate! 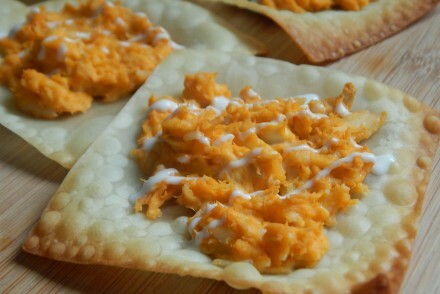 I just want to thank you for taking the time to come up with these recipes and posting them. I really appreciate it, and enjoy trying them out. Did you dice the zucchini by hand? In the photo it looks more like it’s been grated. Or pulsed in a food processor maybe? They sure look good! Thanks for sharing. When I put your amounts into my recipe builder the points came to six. Disappointed. Wouldnt another flour have less points. Like almond or coconut or one of the others ? Thank you so much Kate! I made theses into mini muffins for only 2 points each (I did put it in the recipe builder). I baked them at 325 for 18 minutes and they are fantastic. A great 2 point treat. My batter turned out more like a dough. Two cups of flour seemed like a lot and firmed it right up. Any ideas where I may have gone wrong? I would like to make a bread instead. How long to bake? I wonder if you could use Kodiak pancake mix (buttermilk) to cut the points of the flour? Just took these out of the oven and WOW!!!!! They smelled amazing while baking and I could barely wait until it cooled enough to taste!!! So, so good!!!!! 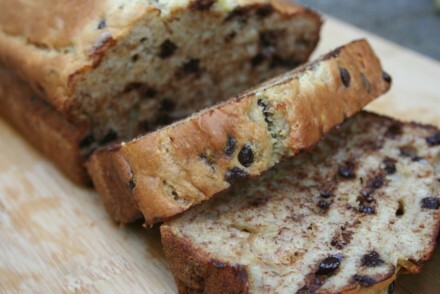 So thankful I found this recipe!!!! Quick question. If I use self rising flour would I leave out baking powder & baking soda? Are these regular size muffins or mini muffins? They look delicious! My hubby is allergic to bananas. Can I substitute something else please? Thank you for your delicious recipes. Hi, you can try applesauce or pumpkin maybe? I am wondering if altitude has anything to do with the baking. The mix was rather thick as another poster said. They tasted fine. But I think next time I will grate or process the zucchini. The diced pieces were somewhat raw. I added another cup of applesauce to thin the mixture. Thanks for all you do! 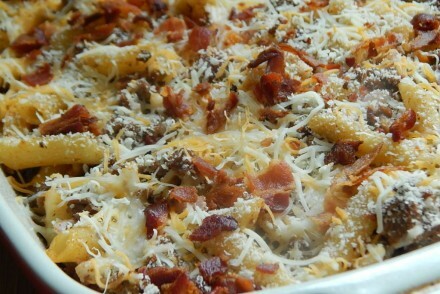 Amazing recipes and ideas.